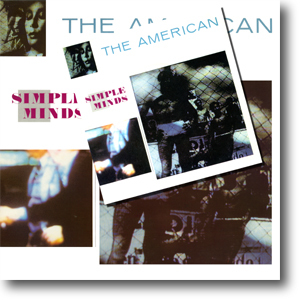 The American was issued on the back of the Celebrate single, a rush release of new material to turn eyes away from Arista and get some new material out. The band were still hard at work in the studio recording the album as the single went on sale. Both these tracks were hurriedly completed so the single could be hurried out. The American would've already been familar to those seeing the band during the March tour. 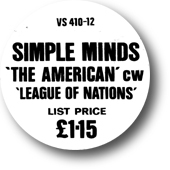 League Of Nations was new, but would eventually turn up on the album. It was the first sleeve designed for the band by Malcolm Garrett. Both 7" and 12" were now housed in picture sleeves. Some of the 12" releases still have their £1.15 price stickers.